In 2014, the national food and drink policy, Becoming a Good Food Nation, was published. This policy set a new vision for Scotland: that by 2025 “Everyone in Scotland has ready access to the healthy, nutritious food they need”. It is now 2019, and unfortunately we are a very far cry from achieving this vision. Last week, the Independent Food Aid Network (IFAN), in partnership with Menu for Change, published data that revealed that the number of food bank parcels given out in Scotland is almost double what was previously known (read more about this here). Govan Community Project has been supporting IFAN’s great work by contributing data on the number of parcels we distribute. We hope that this data will spur policy makers address the root causes of food poverty, which is the only way to achieve the Good Food Nation vision. The Good Food Nation Bill could be the start of a huge transformation to our food system – to one that is fairer, healthier and more sustainable, and which ties in the right to food into a wider human rights based approach. The Scottish government is seeking everyone’s views on this through a consultation, which has just been extended to 18th April. 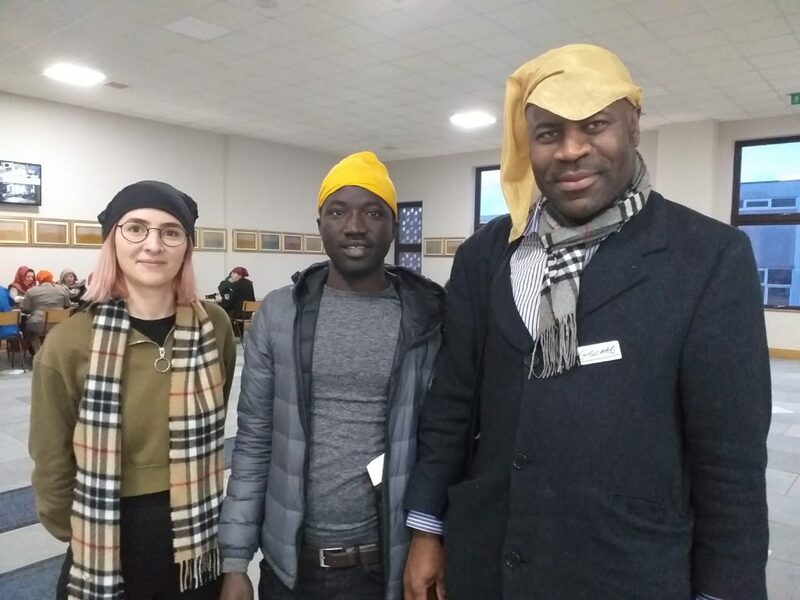 We attended an event hosted by the Interfaith Food Justice Network at Glasgow Central Gurdwara, to learn about how best to respond to the difficult consultation questions. This was a really great event, which helped us put our response in a way that will have the most impact. There’s still time for everyone to have their say! Thankfully there are a few guides to responding, because the questions are tricky to understand. Check out the guides by the Scottish Food Coalition and Nourish Scotland, and help Scotland become a Good Food Nation! We have submitted our views in the Good Food Nation Bill consultation, to ensure that ‘New Scots’ from asylum seeking and refugee backgrounds will not be left behind in this push for food security, and ensure that their voices are heard.